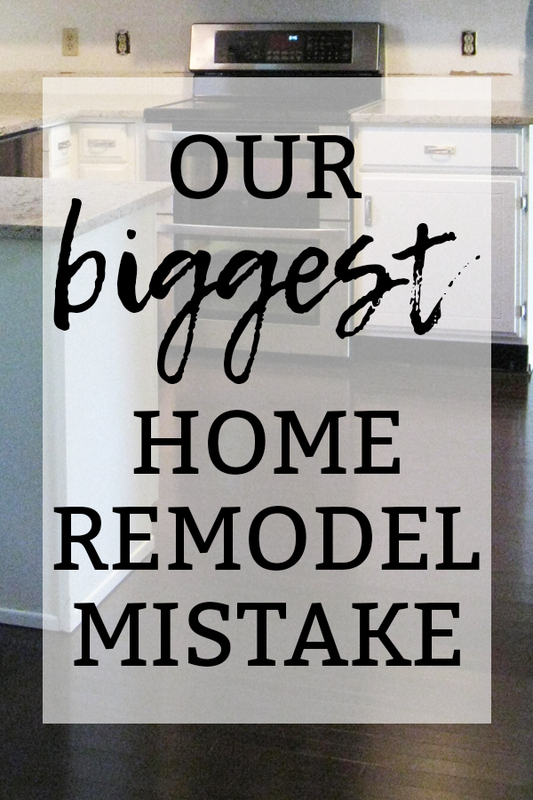 In all of the house projects we have done over the years, there is one major mistake that continues to haunt us. The problem is, it’s a big, expensive, beautiful mistake that we can’t change. No, it’s not the kitchen cabinets or appliances. It’s not the furniture or the television (although my husband does wish we had gone bigger). And yes, a lot of you will think I am crazy for saying this. I know, I sound insane right now. Who would regret beautiful dark wood floors? Us, that’s who. You see, when we selected our floors, the lovely salesman tried to convince us to go with laminate. He had me sold. But, like all good marriages, we compromised and went with my husband’s choice of a middle-end hardwood and my choice of dark wood stain. 1. Hardwood floors are not water resistant or waterproof. You see, wood floors don’t like water. Now, most laminates are only water resistant (meaning as long as you don’t leave water sitting on the surface all night, you’ll be okay). If you can do tile in a kitchen area, great. My husband wanted tile for our kitchen, but it was a) too expensive and b) I wanted a continuous look throughout the first floor. My next favorite choice for water resistant flooring is vinyl. Vinyl has come a long way in terms of looks. If you’re purchasing new floors, do yourself a favor and check out the new vinyl floors available (I think you’ll be pleasantly surprised). After we installed our brand new hardwood floors, we had the ice maker waterline go bad. 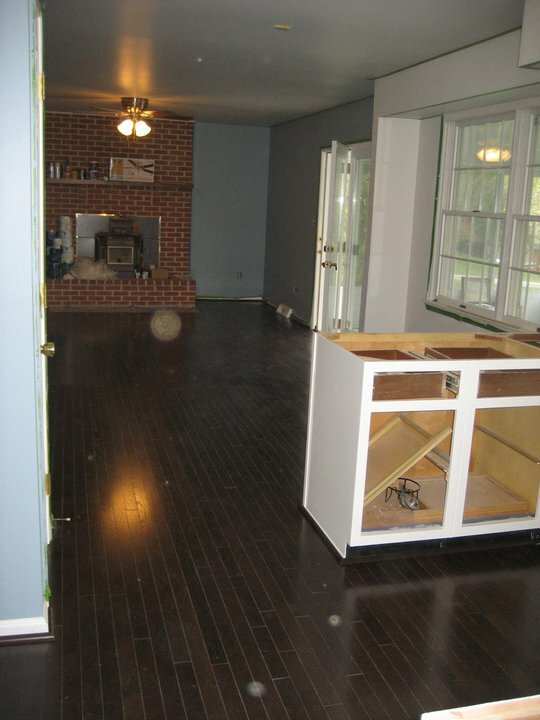 It destroyed all of our wood floors – they had to remove all of the floors on the first floor (and my newly painted kitchen cabinets) due to the moisture and the buckling it caused. Another word of caution – use a braided steel waterline instead of the plastic one that comes up with the fridge. Our clean up contractors said it’s one of the most common reasons a home floods. Our first round of floors the day before the water damage. Let me first say, we were so naive. We had no idea the boys would be so rough on the floors. If you have kids or plan on having kids, do yourself a favor and buy laminate or vinyl floors. At least until they’re old enough to understand it’s not okay to throw a giant Tonka truck off the table onto the ground. Toys and kids mean lots of little scratches all over your floor. This means you’re constantly going around using a special little marker to try to repair your floor. If they tell you not to worry, your floor is stained through the top layer so scratches won’t show up, they’re lying. Scratches will show. Most laminates and vinyls are scratch resistant. It’s an amazing technology I wish we had taken advantage of. Pets are even harder on hardwood floors than kids. 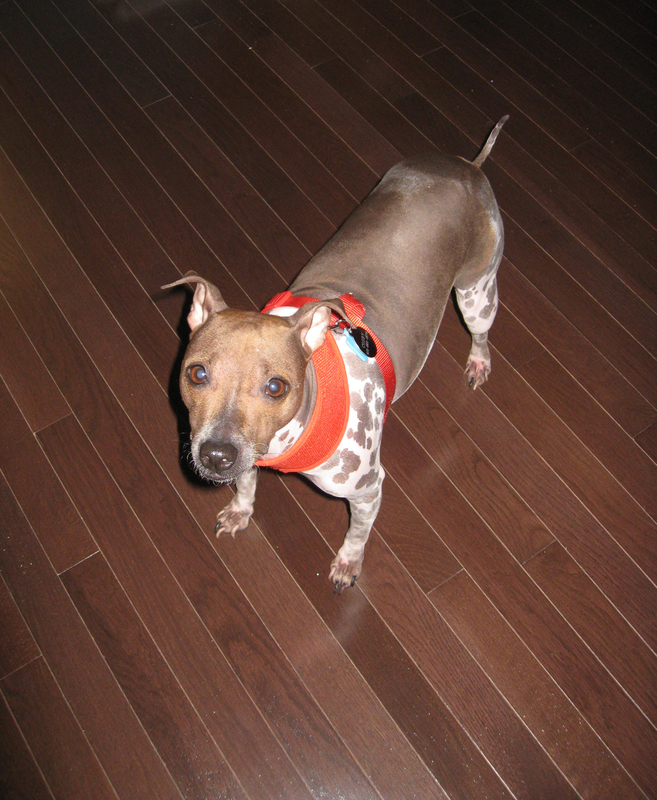 We had no idea our small, hairless dog could create so many scratches on the floor. I feel sick when I watch her lose her footing and go sliding across our floors. Our little B with our beautiful floors the day they were finished. Now, I know that not all hardwoods are more expensive than laminate and vinyl. But, *most* hardwood floors are a more expensive product and install than laminate and vinyl. I remember at the time thinking this wasn’t a big deal. But if you use area rugs, it can be a major deal. When you use an area rug long enough, you have to either keep the rug or replace it with a rug that is the same size or bigger. The problem is, the sun makes the hardwood floor lighter over time. This leaves any hardwood under the rug the original dark color, while it’s friend that’s been sunbathing for years is left a couple of shades lighter. 6. They’re much harder to install. We had no intentions of installing our hardwood floors ourselves. I know that some people are handy enough that they could do this on our own. We felt it was a little bit out of our realm. Laminate and vinyl flooring have click and lock options that have much more user-friendly installation options. We could have saved money by doing it ourselves (although we probably would have still paid for the installation, which also would have been cheaper). 7. Hardwoods are more complicated to clean. Hardwoods require special cleaners to protect the finish. And you also can’t use a mop of any sort (again water and hardwoods aren’t friends). In addition, hardwood floors have seams that crumbs and liquid can get trapped in. Sometimes when you have a big spill, you just want to be able to pull out a mop. Laminate and vinyl are so much easier to keep clean. 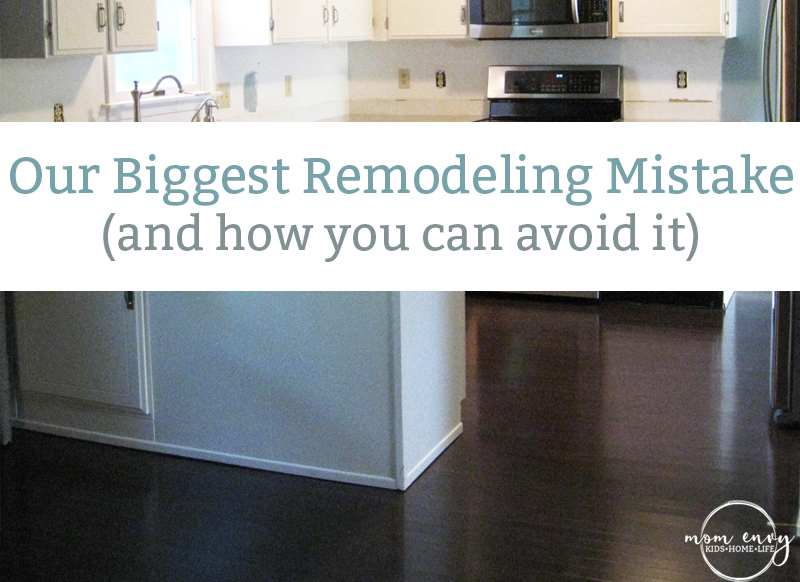 You don’t have to worry about choosing the wrong product and taking the finish of the floor off. 8. They can’t be installed below grade. Looking for basement flooring? You can’t use hardwood flooring on concrete. You’ll have to go with a laminate or vinyl. Do I Really Dislike My Floors that Much? I actually love the look and feel of my floors. They’re beautiful to look at but are so much to maintain. If I was at a different point in my life, I would be completely content with the choice we made. 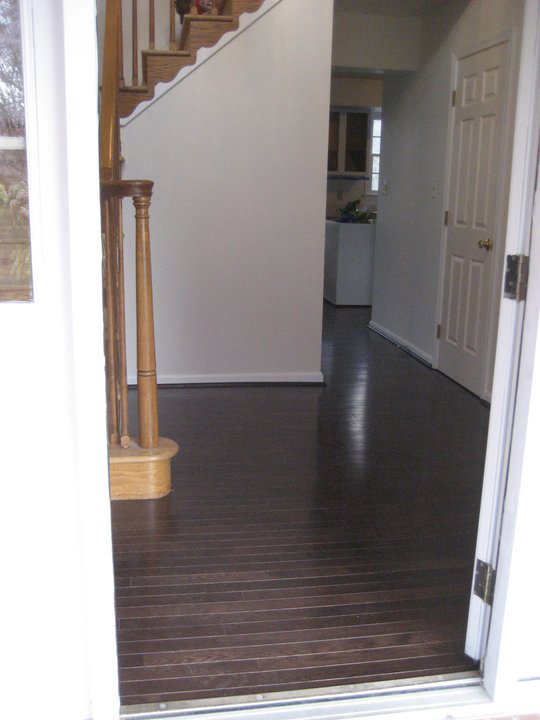 The one benefit of wood floors over laminate or vinyl is that we will at least be able to refinish them down the road. If we had to do it over again, we’d choose laminate or vinyl. While there are so many beautiful hardwood floors, we are at the point in our lives that durability is more important than having real hardwood. So if you’re debating whether or not to go with hardwood or laminate/vinyl, I’d think hard about where you are in your life. If you’ve have rambunctious kids or a pet with nails, I’d skip the hardwoods. If your reason for choosing hardwoods is that they’re prettier, remember, if you have kids/a pet, they won’t be nearly as pretty after living with them for six months. Trust me. That makes me feel so much better about our laminate and vinyl, thank you! 🙂 It’s true that the laminate has been surprisingly durable. The only scratches are under one chair that dragged, and a ding from a metal stocking holder being pushed off a bookshelf from my a-hole of a cat. 😀 Other than that, you’d never know two crazy boys live here! Oh no – crazy cat!! Those stocking holders can be super heavy – yikes! We did bamboo. I live in TX and we all have concrete slab homes (if it’s built after 1960s). We put wood on concrete with no problems (but you do have to level the concrete and do moisture testing before installation). I regret putting them upstairs where they swell and contract with temperature changes much more easily. It feels uneven on bare feet a lot of the time. We do have a rental, and we will definitely be looking into vinyl for it.